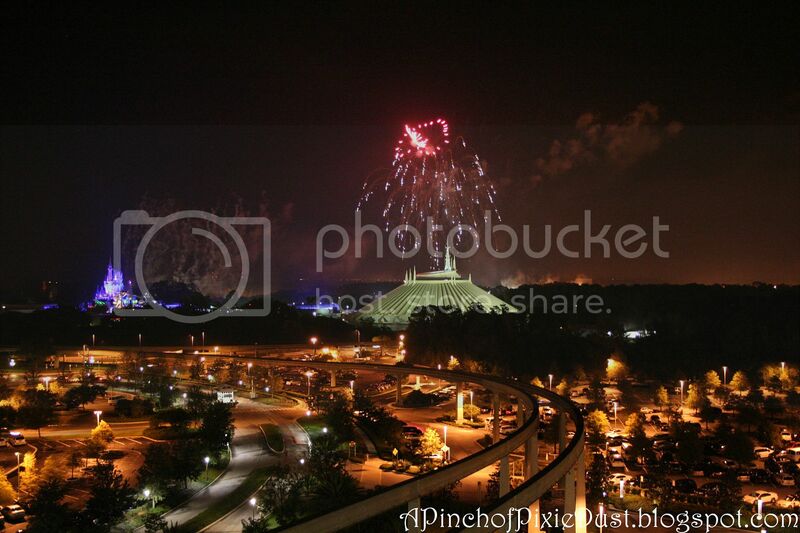 So you're looking for a place to watch the Wishes fireworks from, but you don't want to have to use up one of your park days to get into the Magic Kingdom. What to do? Of course, there are plenty of great spots around the Seven Seas Lagoon - the Polynesian beach, the Contemporary stairwells, even the Grand Floridian Marina all give lovely views without the cost of park admission. But have you ever considered something a little closer up...say...right in front of the turnstiles? I discovered this viewing location almost by mistake one night. 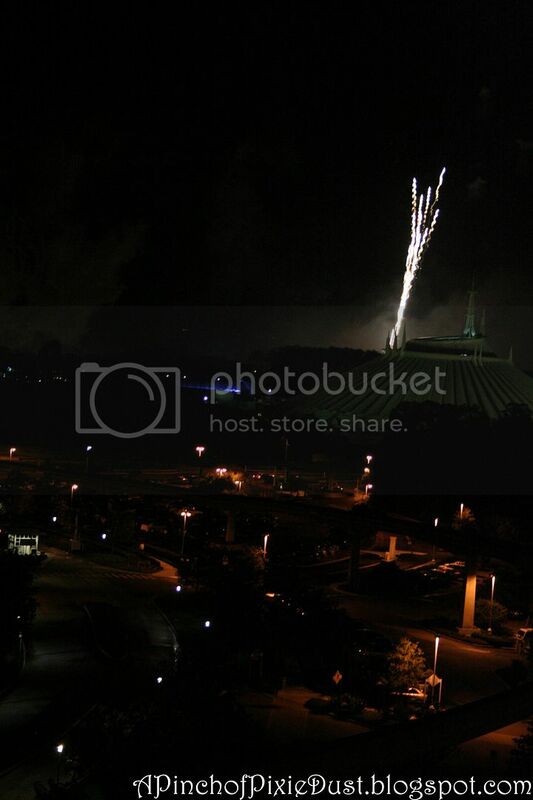 I had just come over on the launch from the Polynesian, planning to hop on a bus to another resort. Wishes was just about to start, but I didn't have a park ticket to spare. So I just stood right there in front of the train station and was so surprised at how much of the show I was able to see! 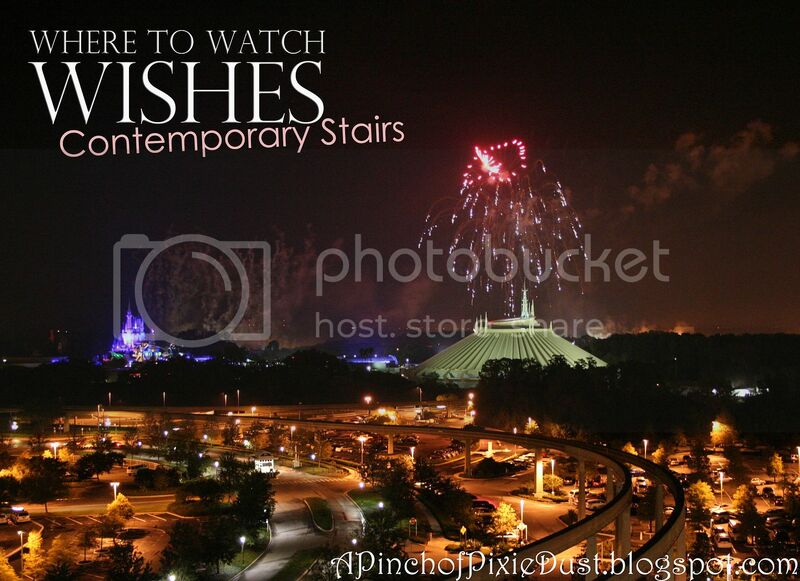 Now this is more of a fun Wishes viewing location than a good Wishes viewing location. There will be guests surging around you, the noise of the turnstiles and security check; although you can hear the music quite well, so that's a plus. 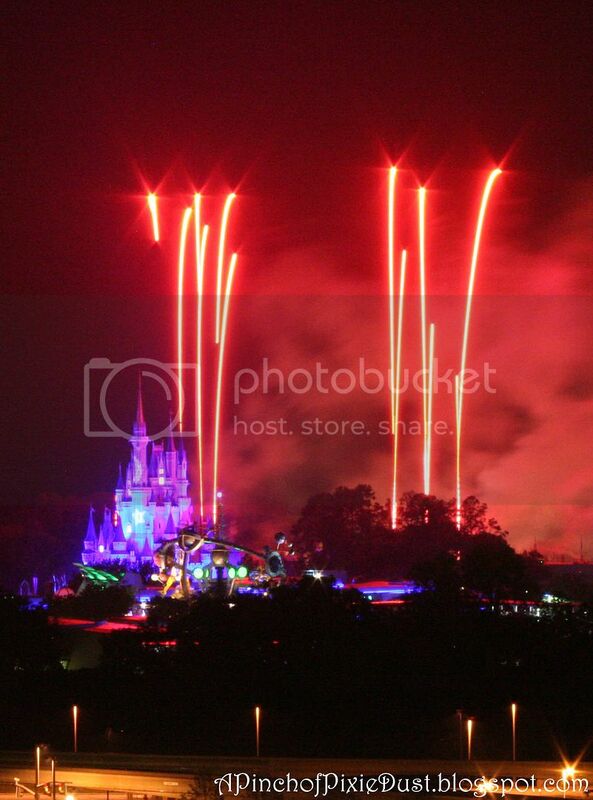 But many of the fireworks themselves will be partially or even fully blocked. So if this is your first time to watch Wishes, try to get in the park or else pick one of the less impeded views from the Polynesian etc. If you're just walking by or in quest of a new Wishes viewing spot, however, this is a really interesting place to watch from. 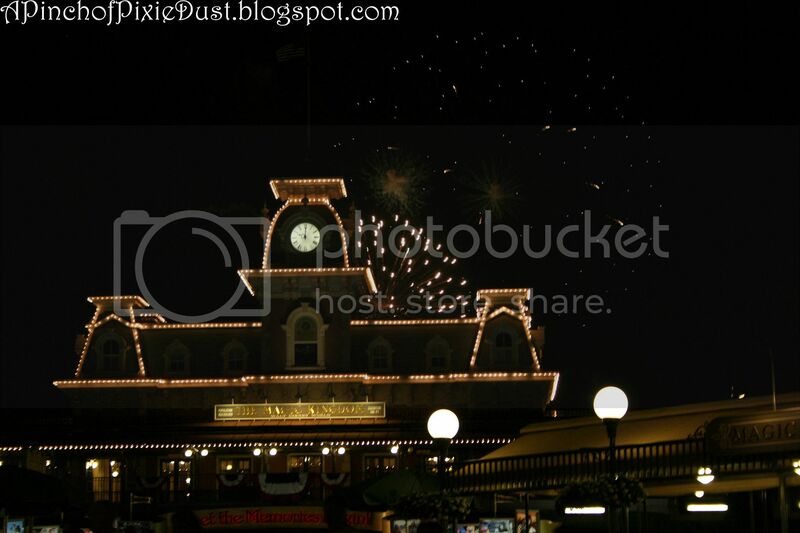 Many of the fireworks seem to be framing the train station instead of the castle! Take any one of those three away, and you lose some of the pixie dust. But if you move just slightly to the east of the train station (so if you're facing the station, to your right), then you'll be able to see the top spires of the castle peeking above the awning. As you can tell from some of these pics, there was a handful of other families who had just paused to watch the show as well. I actually really enjoyed the view, in spite of the obstructions and distractions around. Wishes has never failed to lose its magic, in spite of the multitudinous times I have watched it. Still, it adds to the magic to view it from a new perspective. 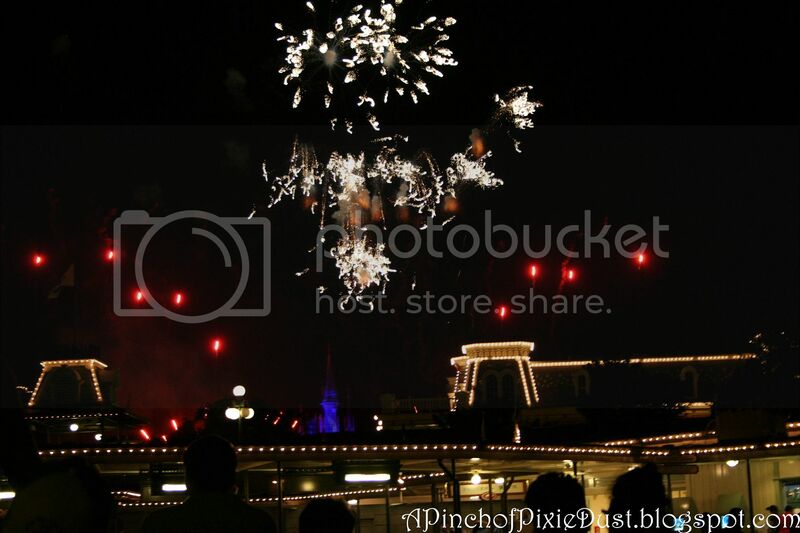 From this spot, it was almost as if someone had cut off the lower part of the picture, and you were just focused on the top spires of the castle and the fireworks high up in the air. The framing fireworks (the ones that go off directly around the castle) were harder to see; although from the above (very blurry - sorry!) pic, you could see some of them. Finale! 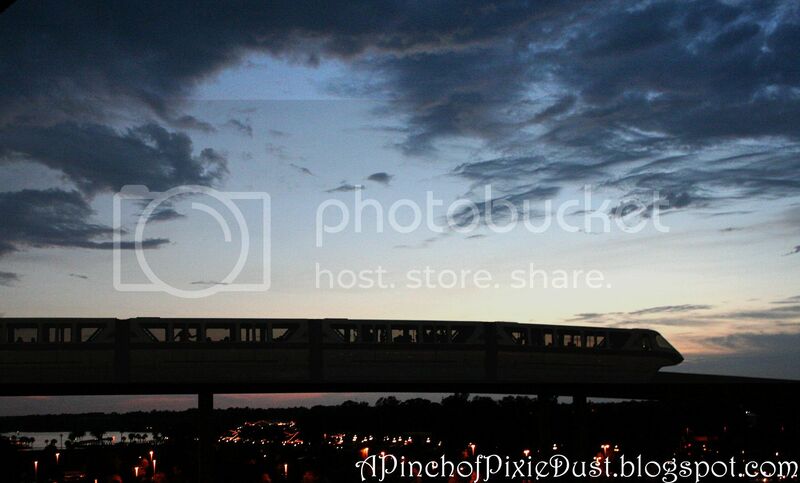 The sky above the train station was set ablaze with a rainbow! 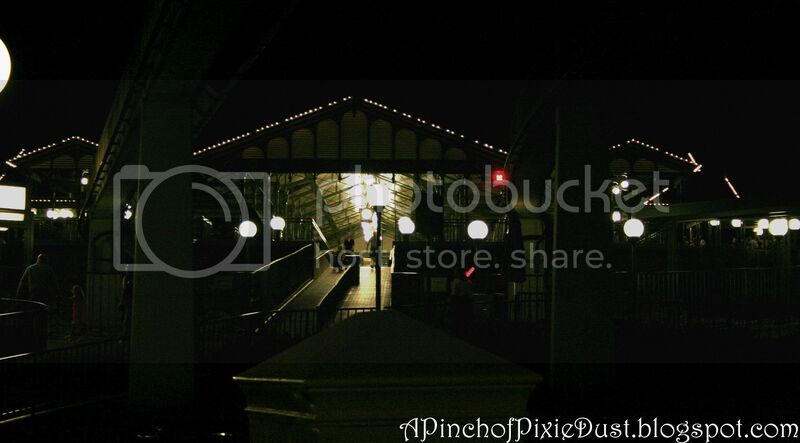 One of the best parts of viewing Wishes from outside the turnstiles? There's absolutely no fighting the crowds. You can stroll immediately up to the monorail and hop on with no wait. 1. 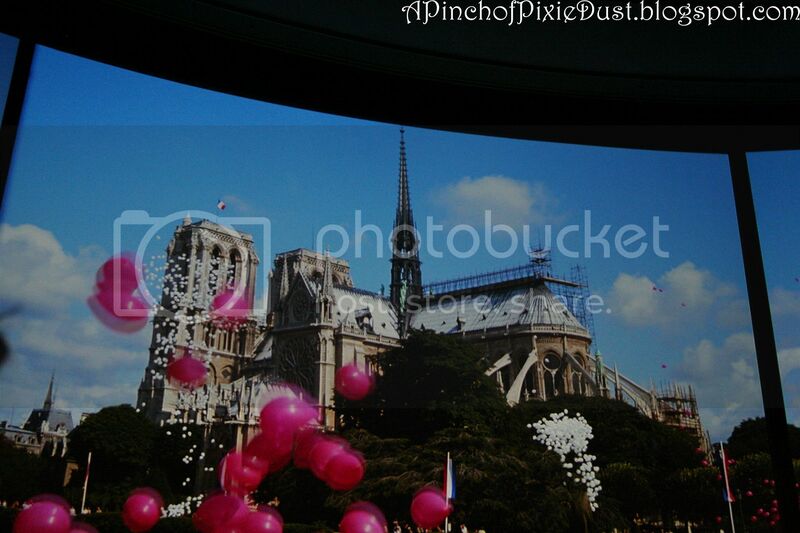 Completely fell in love with Croissant de Triomphe, the new Mickey/Minnie short set in Paris. "J'ai besoin de CROISSANTS!!!" 2. I could identify with this recent post on Cycle Chic (a blog full of colorful fasion and bicycles and gorgeous European cities) about this March's unseasonably wintry weather - I saw plenty of swirling snow in England and France these past few weeks as well! 3. My friend Sunni of I Am Still Blooming celebrated one of her adorable daughter's birthdays with this sweet post. Many Happy Returns of the Day, Evie! 4. Loved Estelle's pretty picks over on This Happy Place Blog for some potential park bags. I think the grey striped one is my fav. 5. The Disney Food Blog has put together a waffle crawl that looks truly epic. I was glad to see the waffle sandwiches of Sleepy Hollow Refreshments on there - AMAZING. 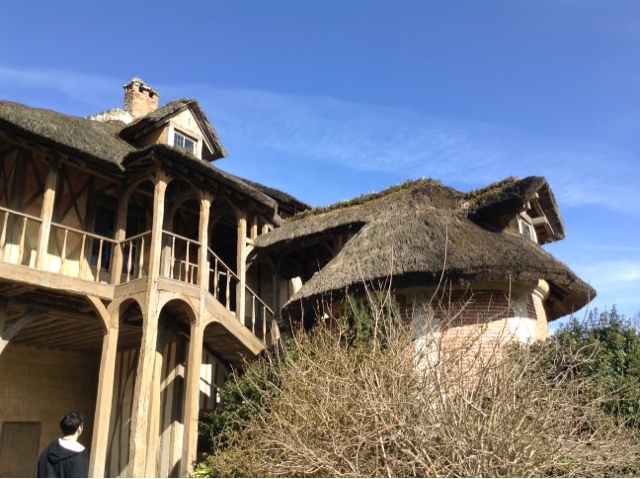 The last few weeks exploring France and England have been absolutely wonderful; but, to tell you the truth, it's very nice to be home! To be able to sit still in one place; to not have to worry about where your passport is or whether or not your train will be on time; to use the internet on a seemingly huge screen (or at least my laptop seems gigantic after relying on the strawberry for weeks!) - it's good to be back. 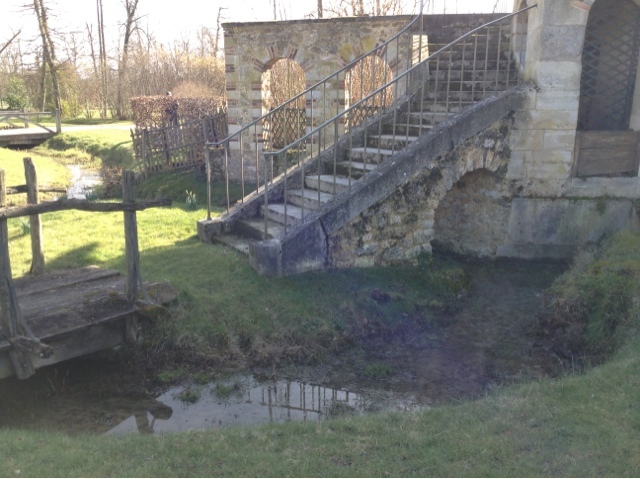 I had hoped to post more on here while I was abroad, but the trip was so full that there wasn't much time. In the future I might not try to stuff a sojourn quite so very full. 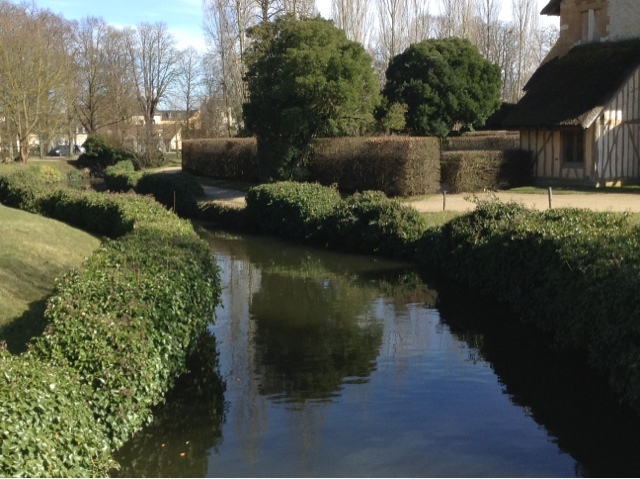 With so much movement there wasn't a whole lot of breathing room; but, on the other hand, it was fabulous to be able to see so many different places: Paris, the castles of the Loire Valley, so many Impressions de France sights, Salisbury with its beautiful cathedral and charming streets, Lyme Regis (any fellow Jane Austen readers out there, get excited for the Lyme posts. Lyme was AMAZING, and exactly as described in Persuasion! ), Tintern Abbey, and London - just to name a few. Now that I'm back, however, I'm super excited to start sharing some more stories from Europe, and (of course) get back to the DISNEY stuff! If you haven't, be sure to check out my vlogs. I'm planning to continue vlogging now that I'm back at home, so stay tuned for that as well! Before I sign off - it's a Wednesday, right - I thought I'd post today's trivia pic. 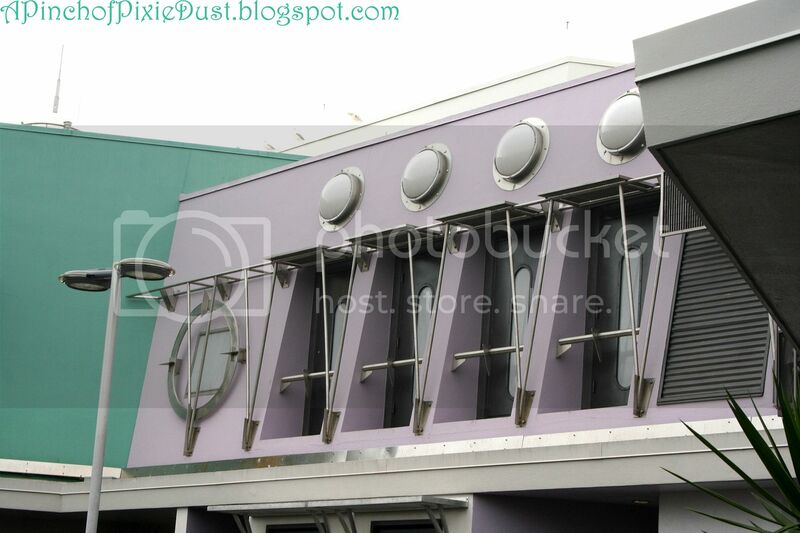 I bet you've seen these pastel purple windows - but do you know where in WDW they are? 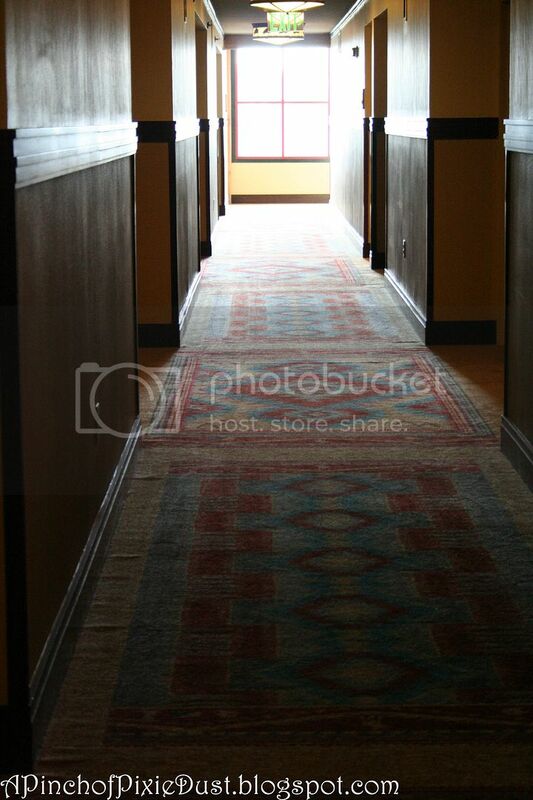 And props to Sunni for guessing last week's pic - those lovely carpets are indeed from the Wilderness Lodge hallways! 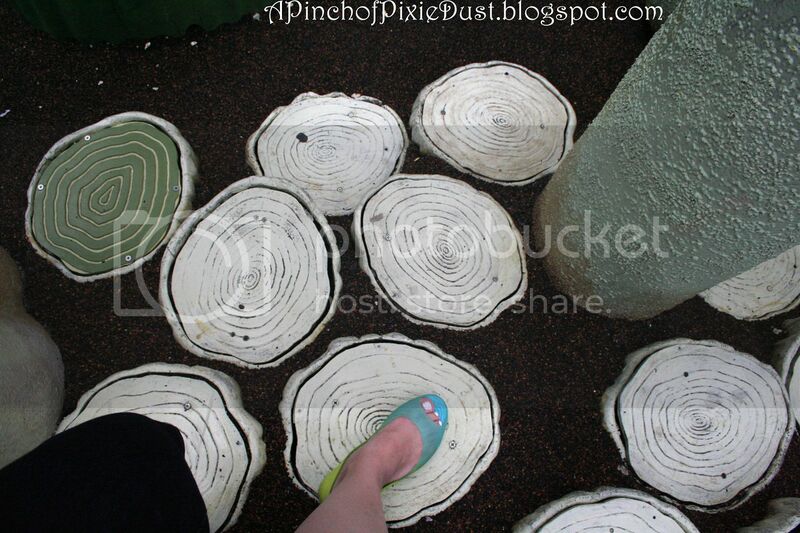 Last week's swirly stumps or musical mushrooms are located in Disney's Hollywood Studios at the Honey I Shrunk the Kids Playground - when you hop on them you might hear some musical notes! This Monday, instead of the usual Disney sweet treat, I thought I'd share some of the amazing desserts we've been sampling in France! 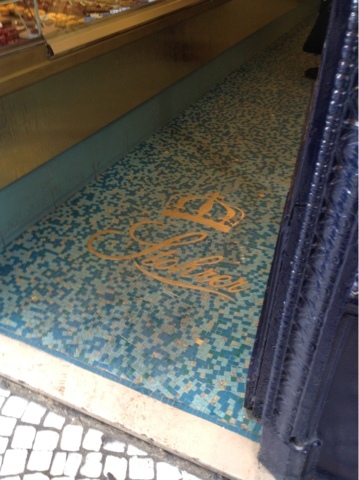 It seems like there's another beautiful patisserie or boulangerie on every corner. They are not, as a French lady told me, to be called cafes, because cafes serve meals all day long, whereas a patisserie just serves treats and drinks! 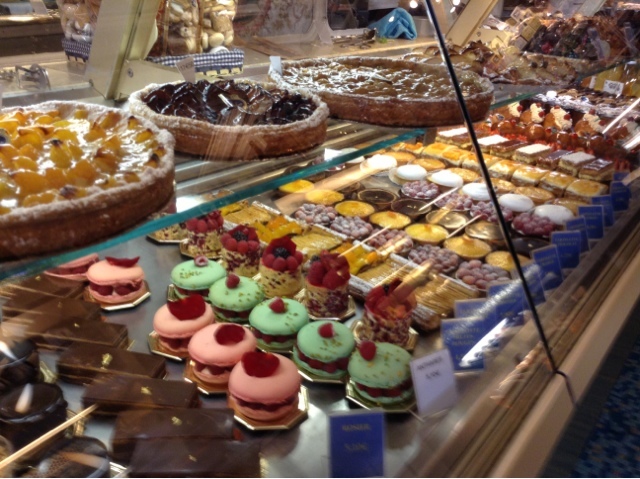 The first Patisserie I visited was called Stohrer, established in 1740! Under its yellow awning was a room packed from floor to ceiling with delicious treats (there were some savory things, but there was no seating, so I guess still not a cafe!). 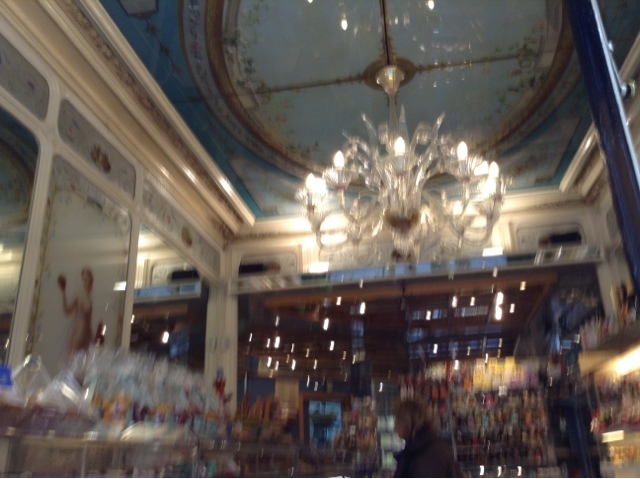 The store itself was like a room from a palace - colorful tiles on the floor and a gorgeous ceiling. I tried the raspberry tart, and the cream/custard was the lightest and tastiest I've ever had in my life. The little chocolate confection we tried was amazing too - like a square of chocolate cake and mousse covered in the darkest chocolate ganache. My iPod (which I'm posting from!) won't let me pick where to put the photos in the post, so they'll just all be at the bottom. I've also done some patisserie vlogs if you're interested in more Paris sweets! Guys. 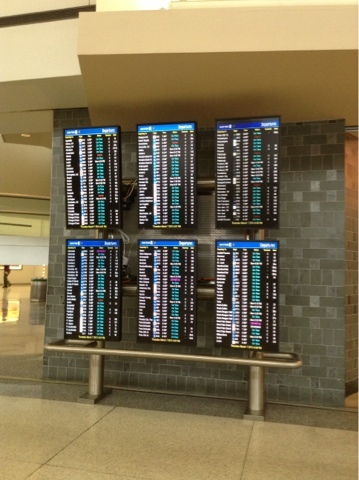 I am currently sitting at Newark airport, looking at a departure screen with so many flights going so many exciting places. Mine is the one going to PARIS. After those weeks of preparation, now it's all about to begin! Newark is pretty impressive. I feel like the Dunkin Donuts belongs at WDW, the giant donuts on the marquee are so impressively themed! 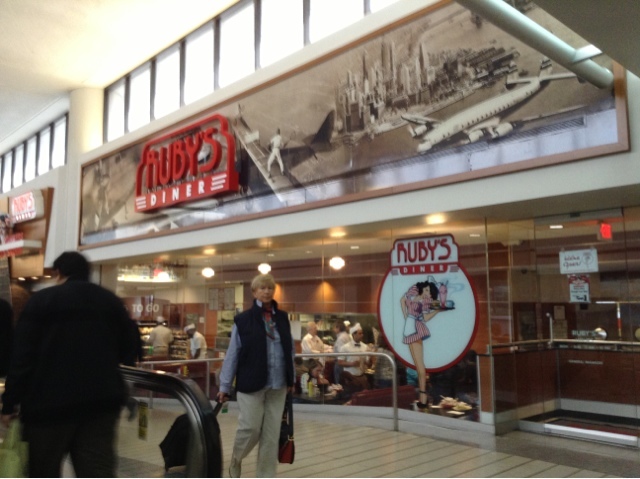 They also have a Ruby's and a Crumbs, amongst other retail and restaurant delights. I resisted the temptation to get a cupcake (which you know was a pretty strong one! ;) ), and when I saw an Orangina in one of the refrigerated cases, I reminded myself that soon I'll be able to get one IN France! I brought some snacks for the plane (my mama packed me some tasty banana muffins!) - and anyway, I'm saving all my money and calories for those Patisseries! I did decide to get a pink smoothie, which I am sipping while I tweet from my pink iPod. In case you're not up on my vlog, I've decided to dub my iPod 'the strawberry.' If the Internet holds I'll try to do another vlog soon. So I think last week I missed a trivia post...but I did a Scavenger Hunt post instead. That counts, right? The last Where in WDW photo was (if you recall) of a pretty garden, and Rachel guessed right - it is the seating area tucked away behind Flame Tree Barbecue at the Animal Kingdom Park. Check it out the next time you go -- a lot of people don't think to look back there; there are lots of nooks to explore and PLENTY of places to sit! Where are you going if you see this overhead?? 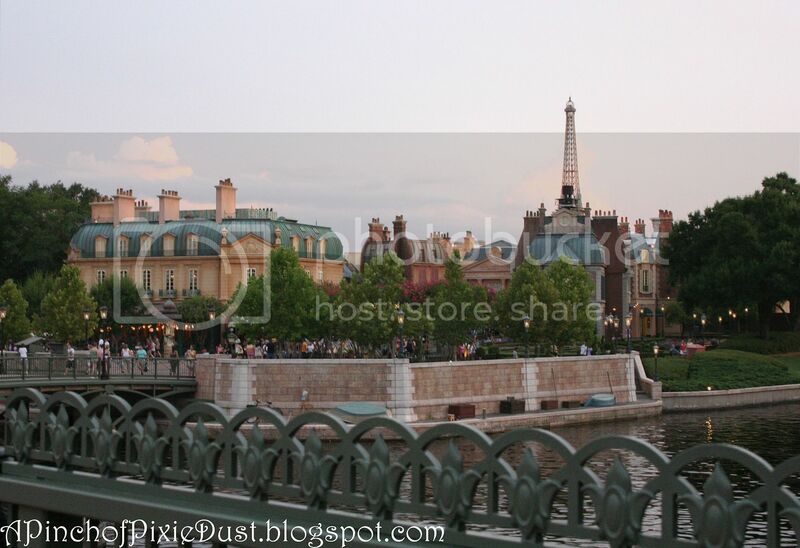 The sunset is drawing near, and pink, golden-tipped clouds are hanging lazily in an Epcot sky. You find yourself in France, lovely France, with the Palais du Cinema rising up before you, golden against the deep blue of the evening. You go inside, stick your tongue out at that statue everyone takes a photo next to, and take a peek at the digital clock just inside the door - it's counting down the minutes til the next show. "Bonjour Messieurs et Madames, Bienvenue a France. Good afternoon, are you ready for the show?" "Good. And now I'm proud to take you on a visit to my country; we hope you enjoy the classical beauty, music, and romance you will see from Paris to our countryside in Impressions de France. Messiuers et Madames, nous avons le plaisir de presenter Impressions de France." A lilting melody starts to play, and you can hear the curtains as they slowly begin to open. "Among gentle spirits of zee air, my France awakens with zee early dawn." Then we're flying in the air over a perfectly fairytale castle. The turrets look like pastry puffs. If you look closely you can see people out on the roof (I always wave, but I've never seen anybody wave back). The music is taking us soaring up, higher into the air, over a hill with houses spilling down the side, topped by a lovely cathedral. With a shift in the melody, we're inside the church, and bells are ringing, and with another shift we're outside again, in the back of a wagon, riding down a steep old street towards the marketplace. The driver of the wagon scoots over obligingly so we can see down the hill. Old ladies are gossiping over their shopping baskets. Our friend is speaking again: "The true heart of my country grows from the toil of her people, from villages and family farms of the most fertile land." We enter the marketplace surrounded by flowers and very self-conscious-looking villagers, then cut to (this is my favorite scene.) 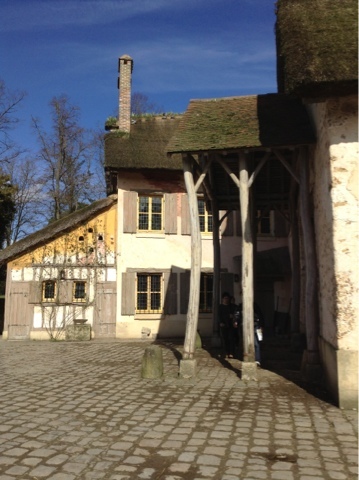 a Patisserie. 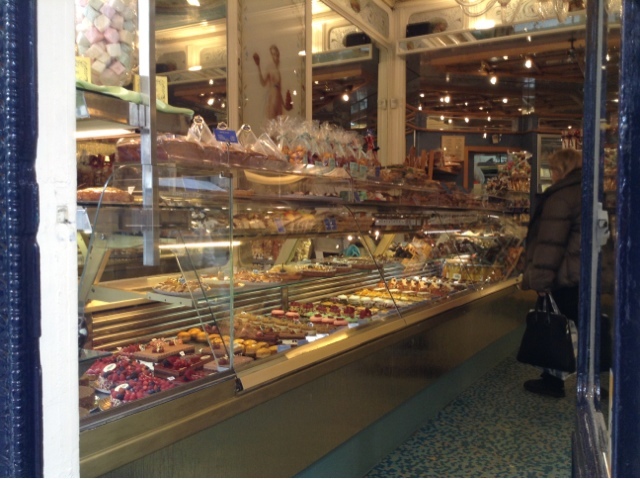 Your vision is completely filled with amazing eclairs and French treats. I think that must be what heaven looks like. From the Patisserie we move to the vineyard, where the workers are collecting grapes. Look over to your left, and you'll see the fellow driving the tractor is wearing a punch of grape leaves on his head, which always makes me laugh. Then we come in from the hot sun to a quiet cellar, where a single sommelier carefully opens a bottle. POP! 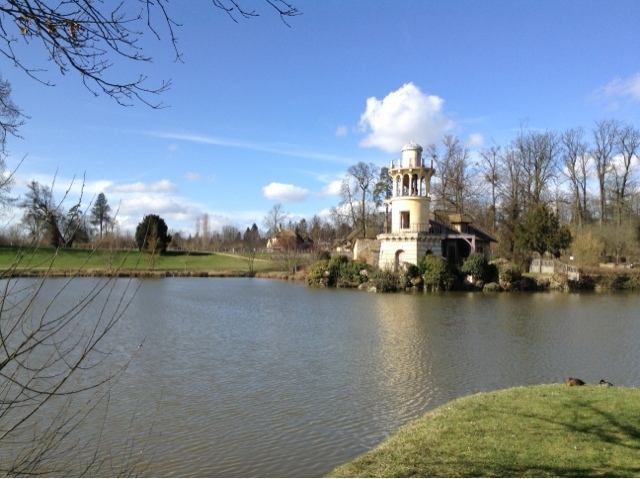 Suddenly we're at Versailles! 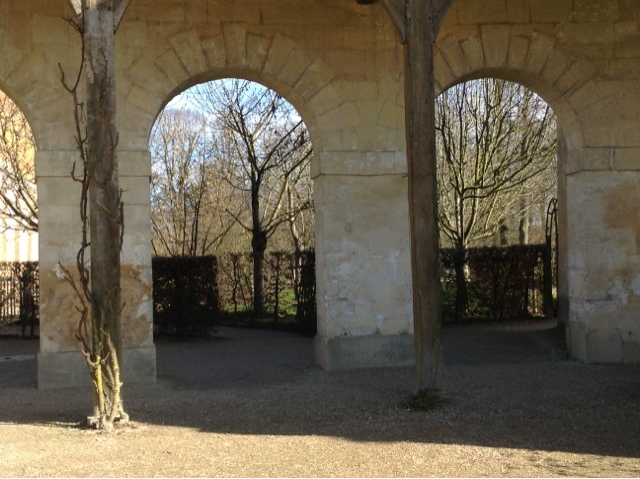 "The majestic gardens of Versailles. The magic window onto a golden age of kings." The music is now full of pomp and circumstance as we go through the Hall of Mirrors. The music shifts again to more mysterious strains, and we're flying - this time over a very ancient castle, with the sunlight just creeping over the hills. 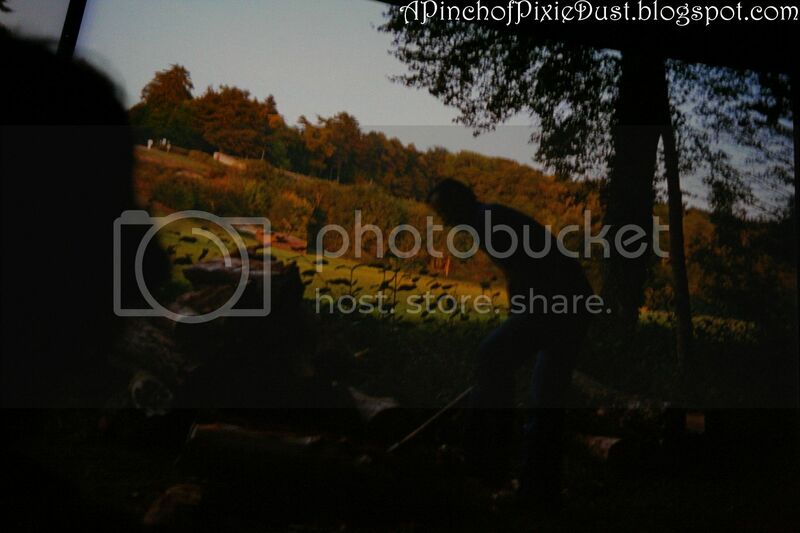 Then, just to surprise you, suddenly you're watching some guy cutting wood. "In distant towns and quiet villages, within the heart of all my people dwells...the secret vagabond!" Cyclists ZOOM by, disrupting the peaceful sheep. 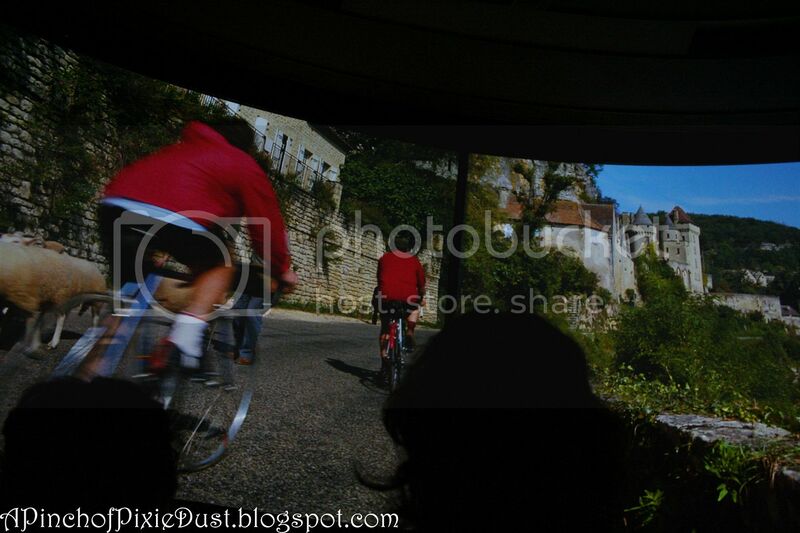 Even though I've seen the movie a million times, I still expect those bikers to wipe out EVERY TIME. They wobble so alarmingly! Believe it or not, we're only about seven minutes into the movie, but no, I'm not going to subject you to all of it. Just to a few more highlights. Like the hot air balloons rising up into the air (if you look down on the ground there's a little buffet table complete with chefs cooking up something). And the POET BODELAIR. "They leave for the sake of leaving, and without knowing why, they always say: 'We must go!'" And the Alps, with the climbers perched atop those crazy peaks. And the guy that does the belly flop off the yacht in the South of France. And the little country wedding (I wonder if it was a real one or completely staged?). And the ageless symbol of France, Mont-St Michel! "Proud. Full of grace and symmetry. Rooted firmly to the ground, yet dedicated to the spirit!" 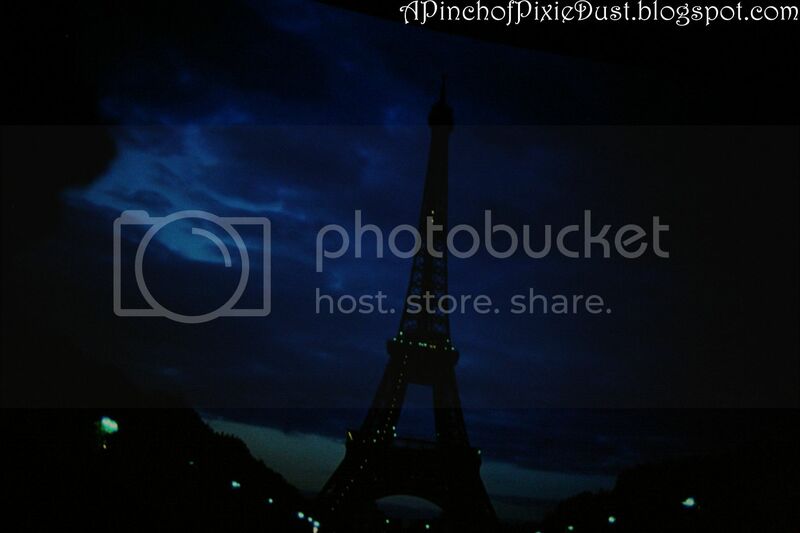 And PARIS of course. I love the scene at Gare du Nord - next to you there's a lady and a little boy waving, and I made it my mission to find who amongst the crowd they were waving to. He's wearing a red jacket. 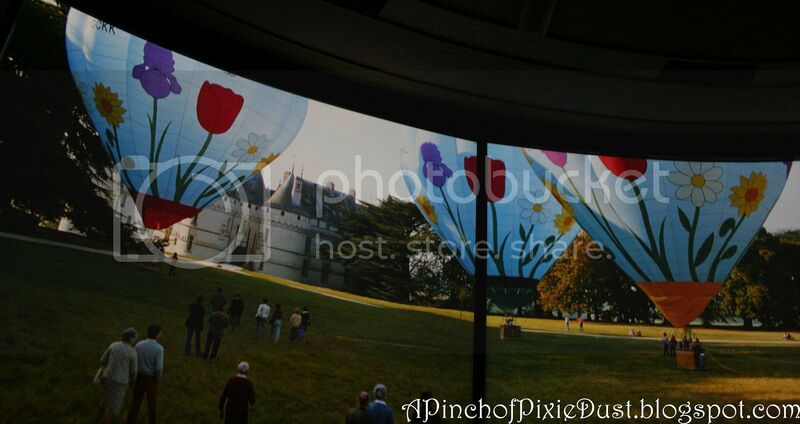 After seventeen minutes of being completely transported to France, you emerge back out into Disney World. Now you may be thinking: "Emma, why did you just make me read a post describing Impressions de France in words and not even in pictures?" To which I would answer: "Because it's THE BEST MOVIE EVER!" 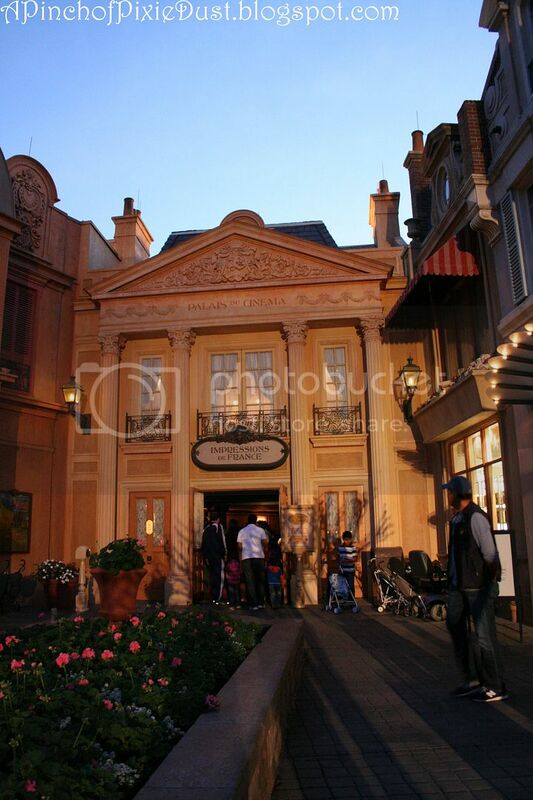 Seriously, though, Impressions de France is one of those Disney things that is just inexplicably magical to me. You get to be in France and in Disney all at once, and the music is absolutely the best, and it's like a moving giant picture book because there are so many tiny details to notice. 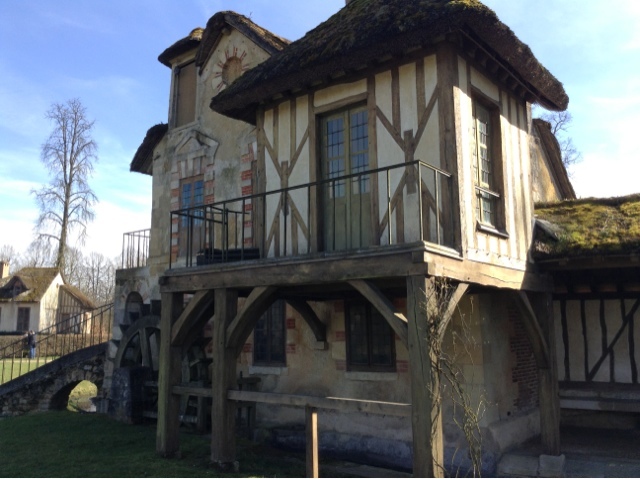 If you have not seen Impressions de France, carve out some time for it on your next trip. It's air-conditioned, and it gives you a chance to rest your feet. Yes, it's dated, but that's part of its charm! 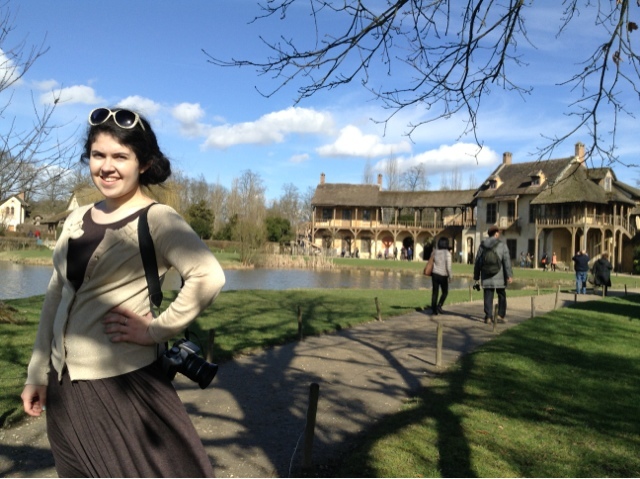 I wrote this update as an homage to Impressions de France, yes, but I also wrote it because I leave for France TOMORROW. I can't really believe it. I'm so excited. A Bientot! I'll see you in Paris! Today is a very special Sweet Treat Monday! Why, do you ask? 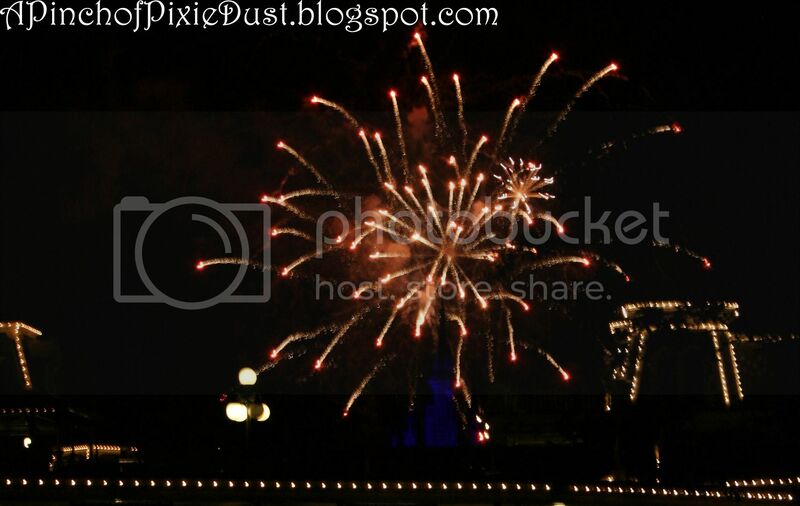 Because today we've got A Pinch of Pixie Dust's very first guest post! Everybody, please welcome Marissa! She writes the fabulous Oh, Just a Few Gallons of Pixie Dust! trip report over on the DISboards and has got an absolutely delectably delicious cupcake from her TR to share with us today. 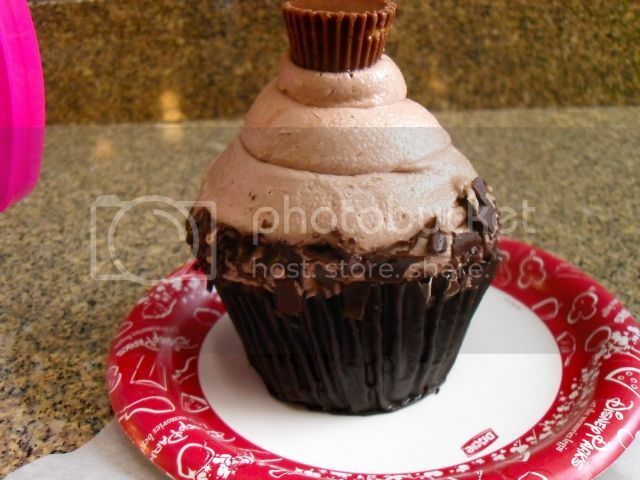 When I read about this cupcake, I was seriously drooling over the screen. It wasn't there in January, but the CM's said that was because they still had out the holiday cupcakes - so hopefully it should be back soon! Without further adieu, here's Marissa. 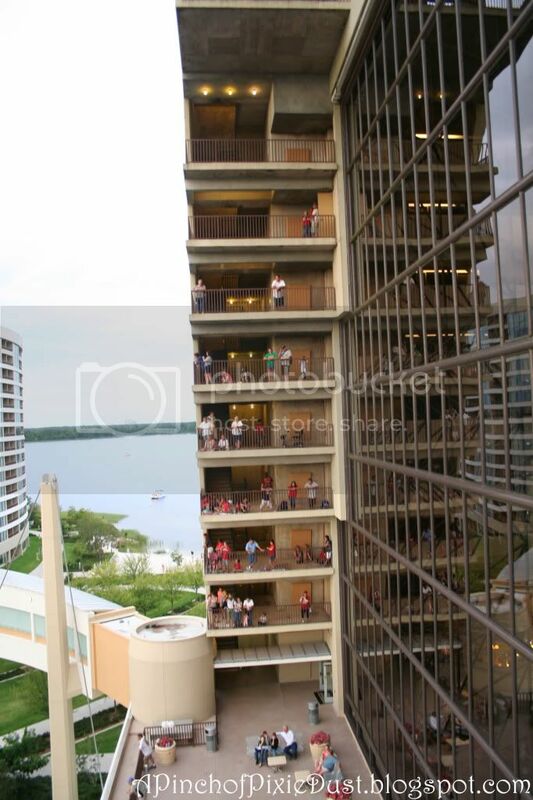 On my most recent trip to Disney, at the end of July and the beginning of August, my family was staying at Bay Lake Tower. 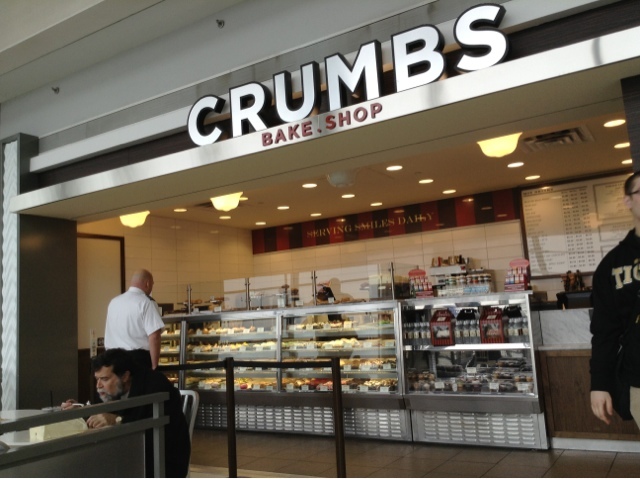 I knew all along that I HAD to try a cupcake from the Contempo at some point. They all looked delicious! 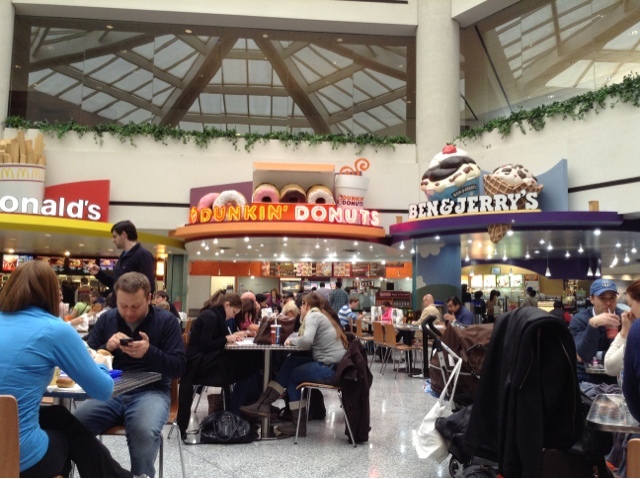 They had Red Velvet, Strawberry Lemonade, and… CHOCOLATE PEANUT BUTTER CUP. Now listen. I am basically a chocolate and peanut butter FANATIC. I think it is the best and most GENIUS combination to grace the planet. I’ve always loved it. My favorite candies are Reese’s cups and peanut butter M&M’s. That shouldn’t come as a shock. Yeah, I’m a bit of a nut. It’s okay though. So basically, when I saw that cupcake, you’d best believe that’s what I was getting. Then the Heavens shined upon me and I sang a song of joy. Listen, yall. THAT CUPCAKE IS A GIFT FROM THE HEAVENS.. OH MY WOW. I mean, just, WOW. It was absolutely delicious. Let’s talk about it. The cake part was a delicious, moist devil’s food cake. It was amazing itself. 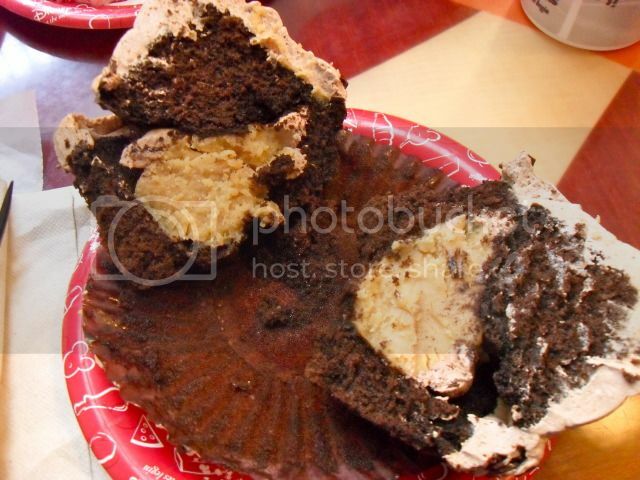 The filling was basically what you would find inside of a Reese’s cup. It was a bit heavy, but wonderful. And the icing? OH, THE ICING! It was a light milk chocolate icing that was the most perfect icing I’d ever tasted. It wasn’t too light (like whipped cream icing, I can’t stand that) and it wasn’t too heavy. It balanced out the heavier filling and it MADE the cupcake. Top if all off with an ACTUAL mini Reese’s cup, and I was a very happy girl. All I’m saying is, if you have never had one before, you must. Okay… I don’t know if you realize just how important this is… how can I make this clear? 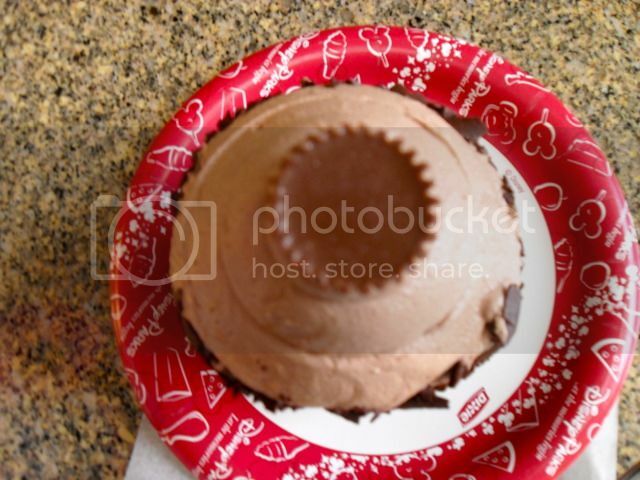 HOP A FLIGHT TO DISNEY RIGHT NOW AND GO GET A CHOCOLATE PEANUT BUTTER CUP CUPCAKE AT THE CONTEMPO CAFE!!! DO YOU HEAR ME? GO NOW!!!! DO NOT PASS GO, DO NOT COLLECT 100 DOLLARS (unless that’s how much it would cost for the flight), AND GET YOUR HINEY MOVING TOWARDS THE MONORAIL, STAT! THIS IS NOT A DRILL, SOLDIER. So, I don’t know if you can tell, but I enjoyed that cupcake. 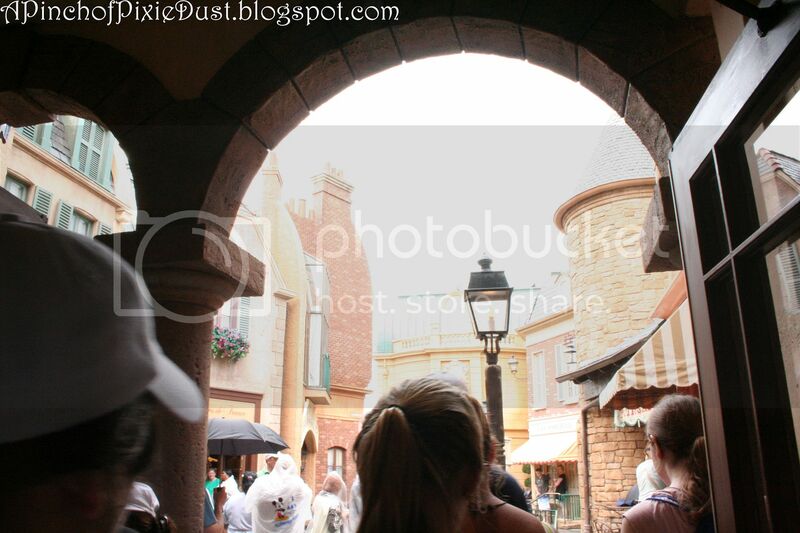 According to a lot of my Disney loving friends who have gone to get that cupcake recently, it hasn't been there. It's a little bit concerning, but I'm holding onto hope that it will be there next time I go! Either way, I don't think you can go wrong with a cupcake from the Contempo Cafe at Disney's Contemporary Resort! Happy Weekend, lovely blog readers! I'm celebrating my Saturday night by dancing around to One Direction with my little brother (he's nine and thinks he would be a great sixth member of 1D. Also, side note, I feel so hip because I just worked the phrase"1D" into a blog post). 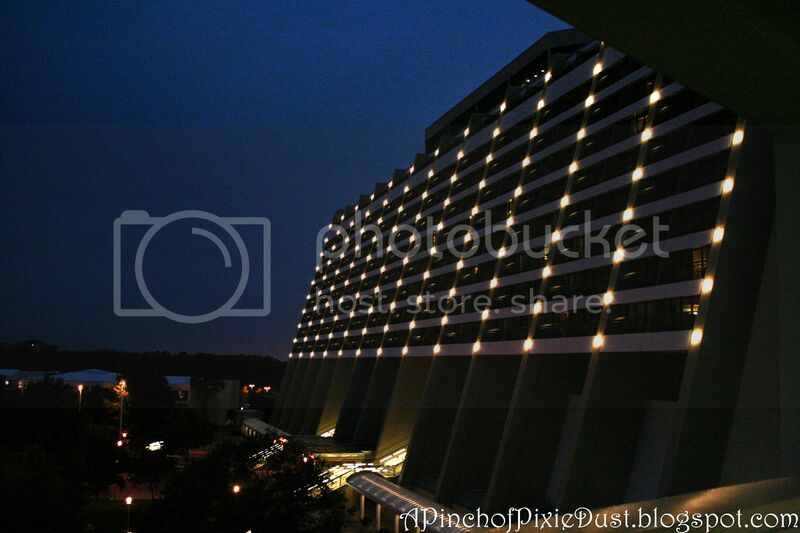 The outdoor staircases on the Contemporary Resort's North side are one of my favorite spots to watch Wishes. It's (almost) never crowded, you get a really unique, different perspective from above, and you don't have to have a park ticket! 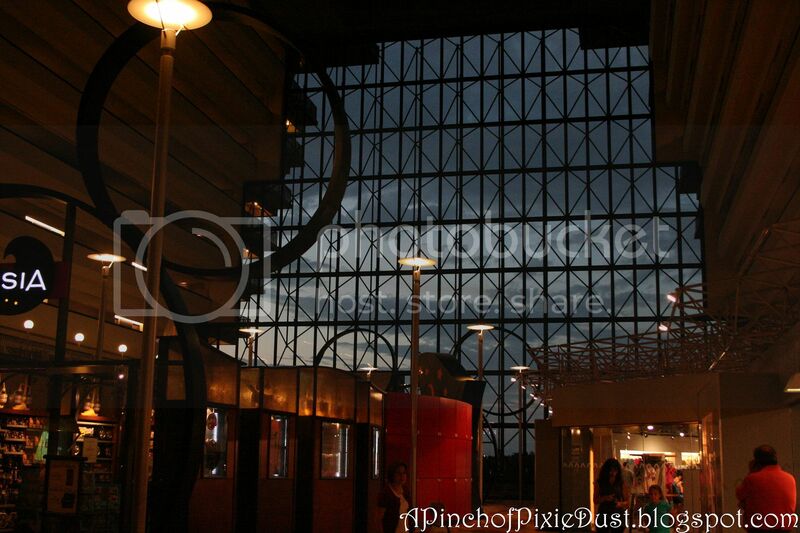 Those great big windows at the Contemporary mean that you could theoretically watch Wishes from inside, but the glass warps the fireworks a little, so you wanna be outside. Walk all the way up to the window, turn to your left and find the door in the corner leading out to the terrace. Now you could actually watch Wishes just from that fourth floor terrace (in the pic you can see it from above, where the flower pots are out the window). There are a few benches, but honestly they fill up really quickly, and that terrace gets fairly crowded with last-minute watchers. If you really want to feel like you're watching Wishes in a world of your own, climb a few levels up. There are stairs on both sides, so you could watch from either - I recommend the stairs on the west (left) side, because there's less in the line of sight between you and the castle! None of the outdoors stairs are blocked - you can go all the way up to the terrace outside the California Grill on the roof, and there's no gate to stop you (at least there wasn' the last time I was there!). 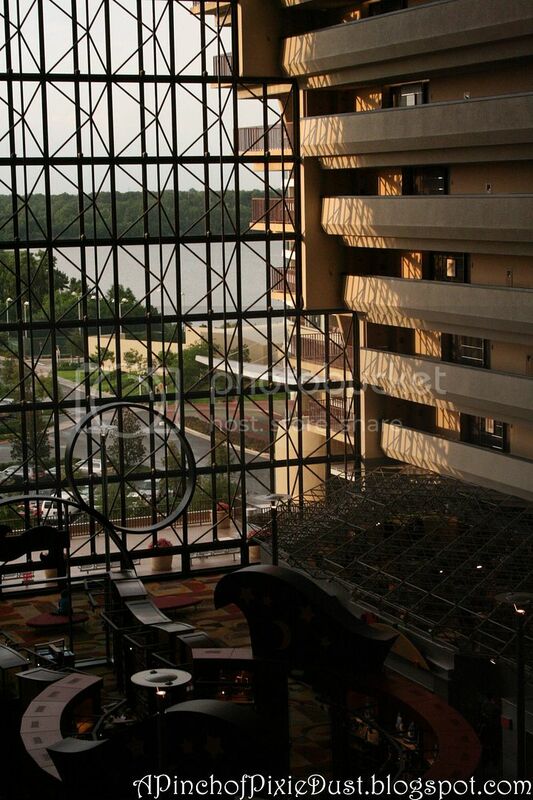 Except for that door on the concourse level, though, the doors leading back into the resort are locked. If you're staying in a room in the tower with a Bay Lake view, you can just run out of your room and sneak out the door to the stairs to watch Wishes from this spot - just remember to prop the door with something so you can get back in! 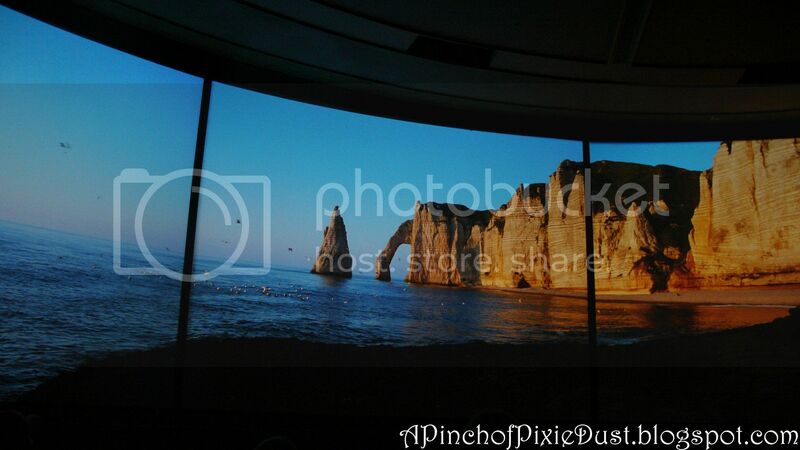 Of course, you don't have to be a guest at the Contemporary to watch from here! 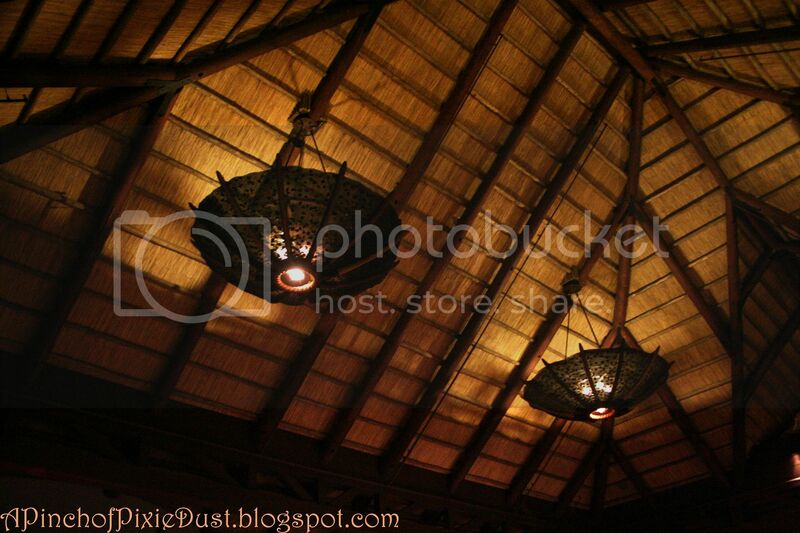 You can head out after dinner, or just after a visit to the resort! A quick note: parking at the Contemporary (unless you have a reservation at a table service restaurant or a room reservation), is pretty much impossible these days. I think there must be some curmudgeonly managers at the resort right now, because even at really slow times of year, when there are scads of empty spots and you really are going to eat at the Contempo Cafe and not sneaking over to the MK, the security guards often won't let you in. It never hurts to try of course, but know that you might get turned away. In my experience, they have a much more Disney attitude about parking at the Polynesian, so you could always park there and monorail it., or if you're staying at another resort you can just take resort transportation to the MK and walk over. Sorry. That note wasn't as quick as I thought. I've been doing a ton of research for my trip to Europe lately, so I guess I'm just in an informational mood - lol! ANYway, on with the show! The great thing about this Wishes vantage is that the Wishes soundtrack is played on that balcony off the concourse. If you only go up the stairs a few levels (say seventh or eighth), you can still hear the music! 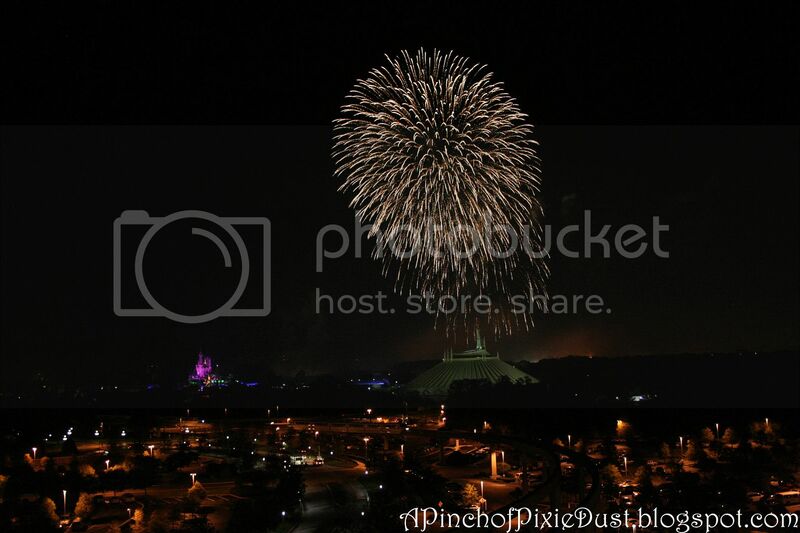 I tend to feel Wishes is only half itself without the music, so that's a major plus in my book. An artsy shot. 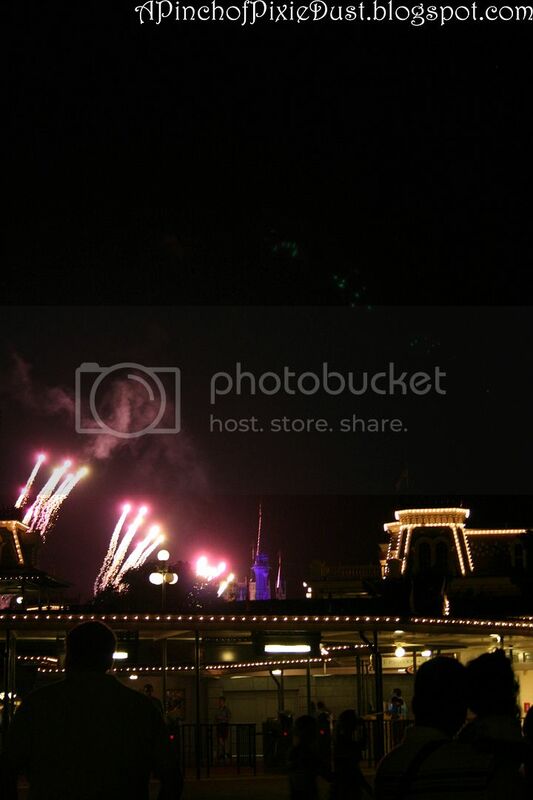 When you start looking for odd spots to watch Wishes, you'll find that there are actually lots of icons that Wishes seems to be going off behind. 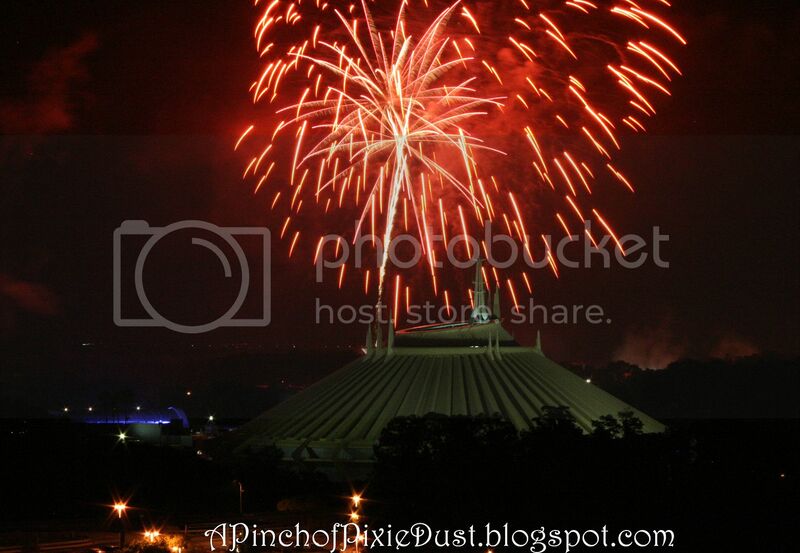 From this view, it looks like they're framing Space Mountain! 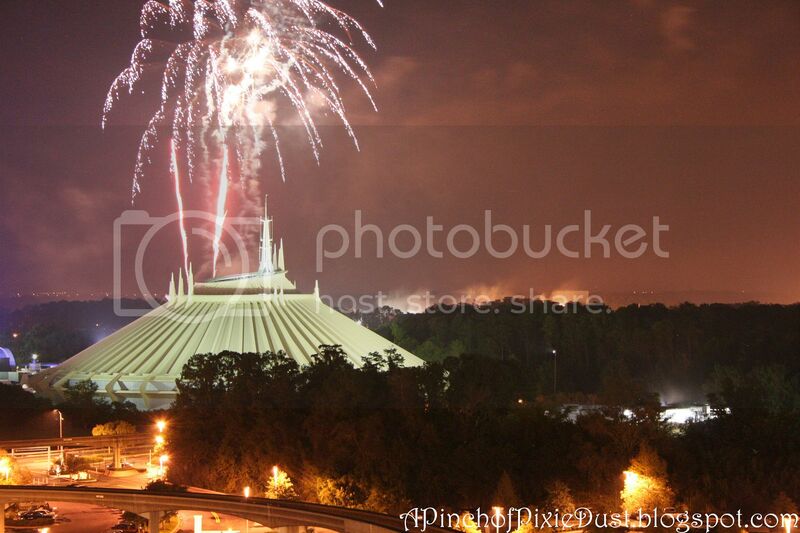 In this pic, it looks like Space Mountain is under attack!! AHH! Now. 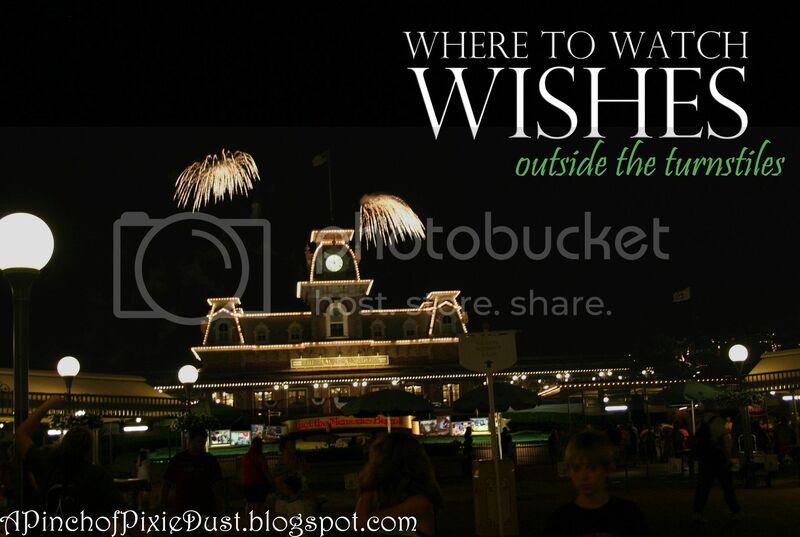 This is an interesting view of Wishes, but it's not a perfect one, and there are some things that could distract you. The monorail tracks (and monorails) are running right below you, and spread out between you and the castle is the Contemporary parking lot - usually fairly quiet, but there are buses coming and going. 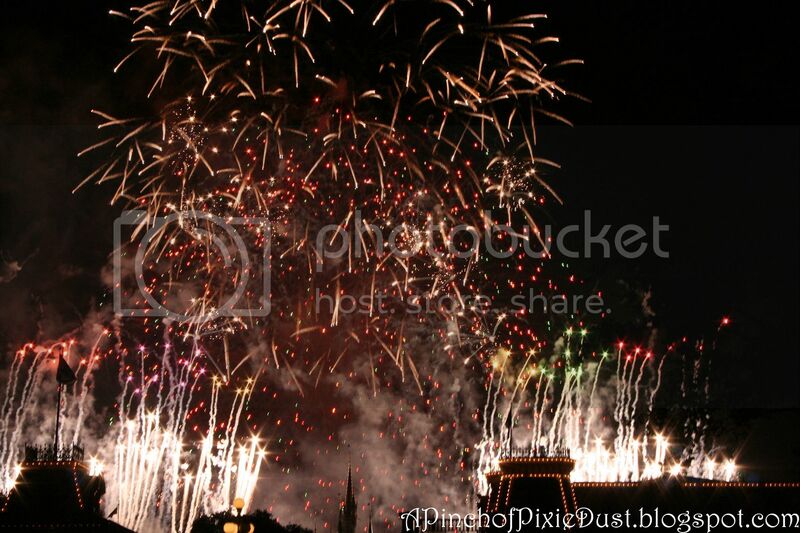 I find I zone in on the castle and the fireworks once the show starts, and all that Disney hustle and bustle below me is just a fun backdrop for it, but it may not be your cup of tea. Just a warning. 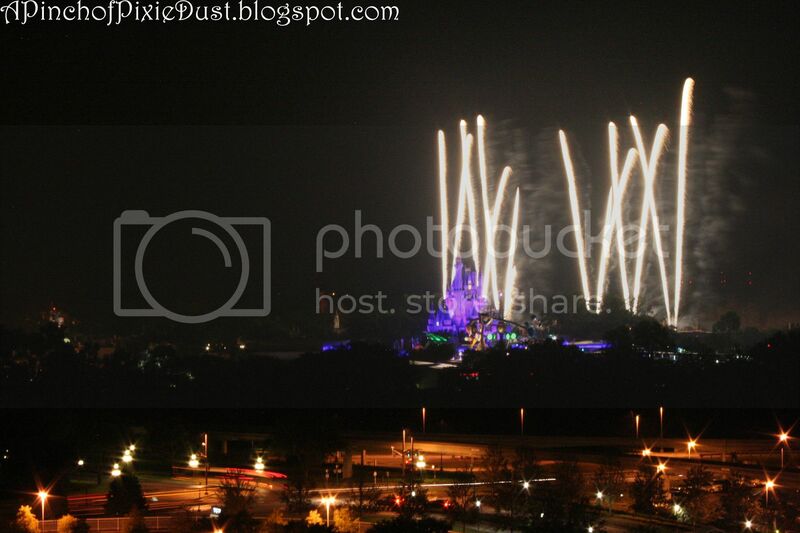 It's not a bad spot if you're looking to get some neat pics of Wishes and didn't bring a tripod. You can steady your camera on the balcony railing - just keep the strap around your neck and DON'T let go! 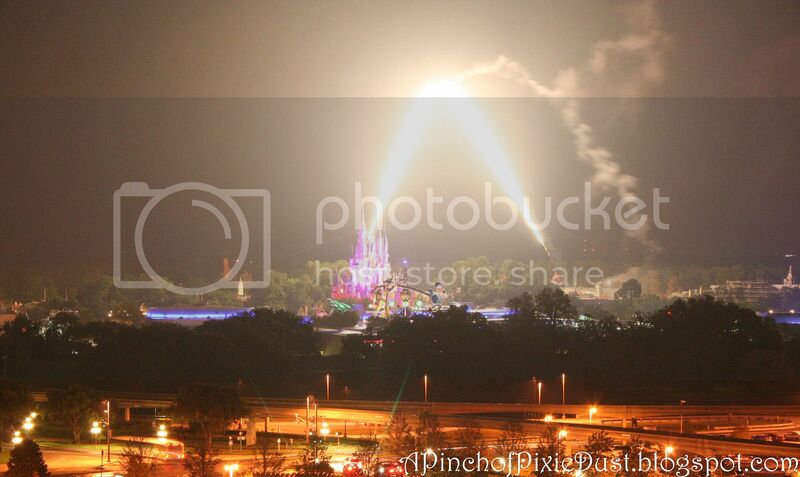 Love it when all those streams of pixie dust go soaring into the sky! And, of course, the golden weeping willows. I have to say those look pretty spectacular from the Contemporary stairwells.